Above postcard, 1950. Kindly sent by Rory Kehoe. Also showing the "Old House at Home" and "Flying Dutchman." 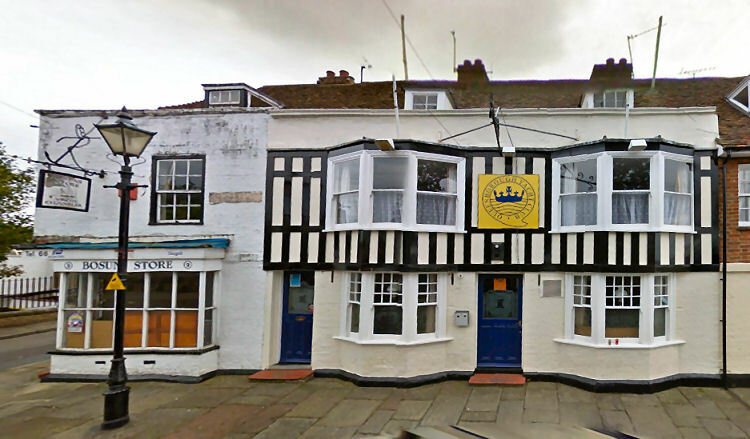 Above image from Google, July 2009, showing the former "Castle Inn" which changed to be the Queenborough Yacht Club in 1977. From the Kentish Gazette, 17 January 1804. Price 6d. FREEHOLD COMMON RIGHT OF PASTURAGE. 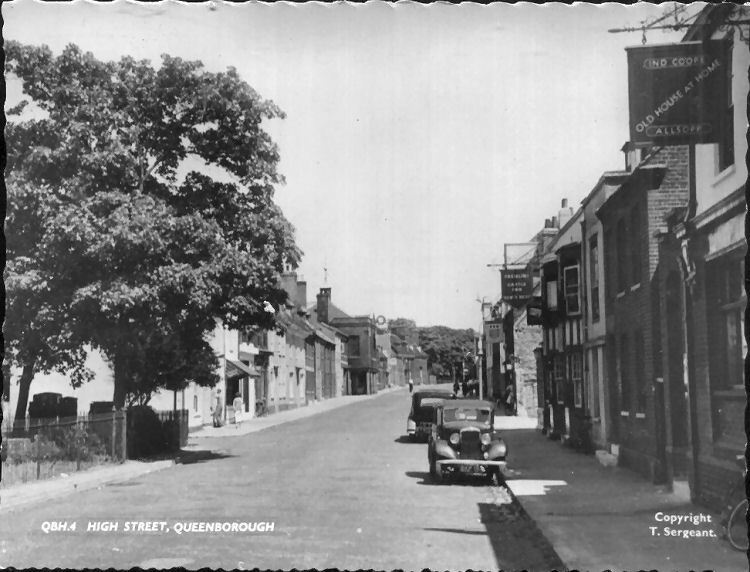 All that one moiety or half-part of a FREEHOLD LEASE of LAND, or COMMON-RIGHT of PASTURAGE, for either one horse, one cow, and four sheep, or twelve sheep, upon the whole of that fertile common called Queenborough Green, adjoining the town of Queenborough in the Isle of Sheppy, in the County of Kent. The above RIGHT of COMMONAGE entitles the owner to the pasturage for the said limited number of cattle, over that valuable and extensive land or common, containing upwards of 300 acres—the said moiety of which now lets for the amendable sum of £10 10s. per annum, clear of deductions—now in the occupation of Mr. William Carey. The before-mentioned Green is only divided info twenty-nine Leeses, each of which are only subject to a low annual wall-scot. To treat by private contract, and for particulars, apply to Mr. William Gardner, Hearn-hill, or to the Auctioneers, of whom may be purchased four eligible situations for trade, situate in the High Street, Blue Town, Sheerness. central stacks. Early-to-mid 19th century front, altered again in 1900. Rear elevation weatherboarded. Extension to rear approved in 1914. Listed grade II.